We have taken the most powerful light of technology and market and have developed an app that has been tested to become the perfect extension of a waiter. Easy and intuitive. They learn to handle it from day one. 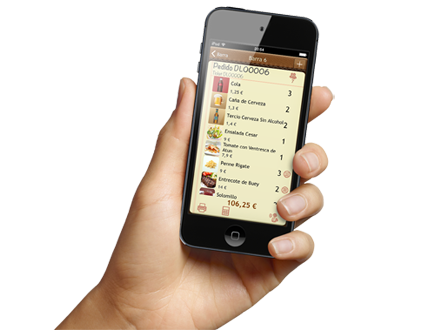 In Handheld Dual Link Bar & Restaurant offers on all the functionalities of POS Dual Link, adapted for a smaller device. Its interface and size are perfect to take notice and take any action with one hand. The iPod Touch is a powerful, lightweight, inexpensive and easily replaceable device. Our unique synchronization system and connecting equipment guarantees the maximum performance of the comanderos when you need it most. Compatible with portable printer via Bluetooth. 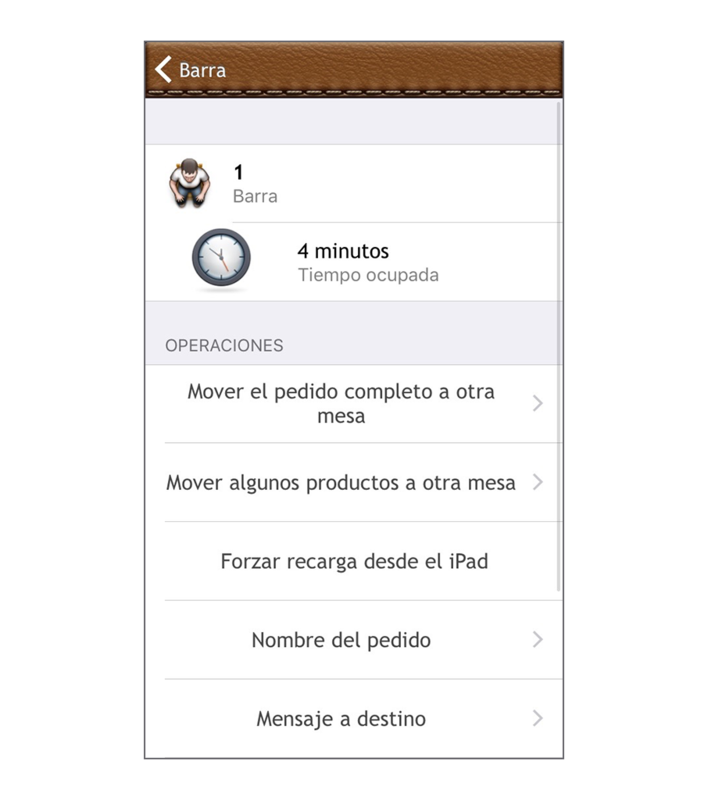 The note is recorded in the POS Comandero and while printed automatically at your destination. Kitchen and bar will begin working and living can continue serving customers. “Modifiers” will help to inform kitchen / bar any particular “way of cooking”. ¿Modification on a plate after marching the commands? Kitchen sends a message from the Waiter app. Make payments and print directly on the Waiter app, increasing service productivity. The accounts come second after being ordered and can be folded tables quickly. 4 clear icons, practical and intuitive icons. All you need to serve your customers. Availability, zones and status commands. Know the status of your tables: What are free or busy, or having the operation in progress or pending. 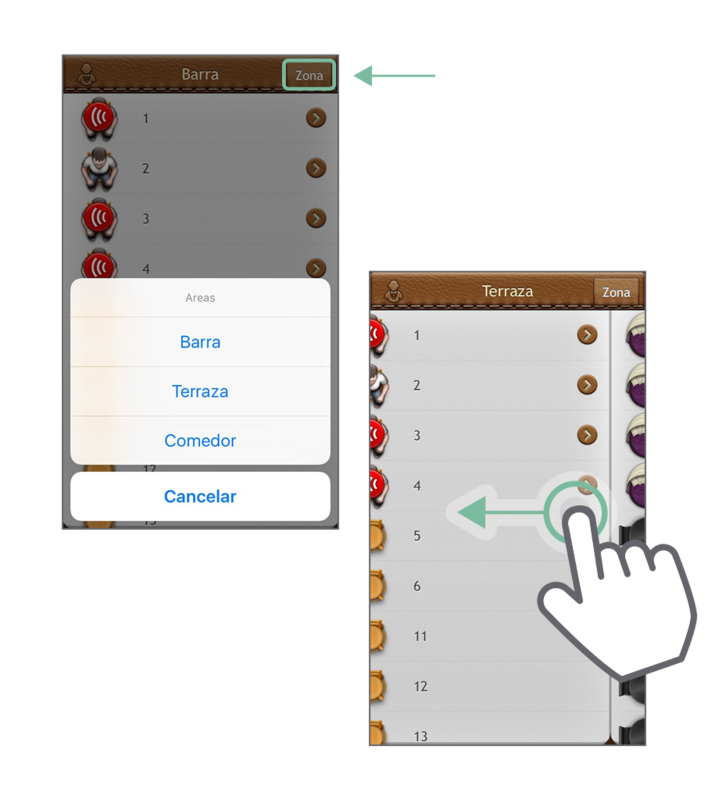 With any waiter icons be displayed in your comandero what is the state of a table. Rectifies the allocation table or move products to another table without missing a second. Put “name” to a kitchen table to warn of a repeat customer or friend. Zone changes as you prove easier: Click on the button areas or take advantage of iOS gestures sliding sideways.